Japanese people have a very common word, with a very common and very wrong meaning. It’s already widely known that Japanese like to absorb everything from America, and one of those things is the language. Because it’s cool. But the fact it might sound “cool”, doesn’t mean it is correct, and in fact, when heard by someone who actually understands the wrongness of it, you can’t help it but laugh! – Saying “All right” abbreviated when helping someone in the car doing a maneuver. They say something pronounced like “Ohry” (オーライ, o-rai). – Using English furigana in advertising. For example, the word 検索 (けんさく, kensaku, lit. search), instead of having the correspondent hiragana above it, would have the katakana サーチ (sa-chi), the Japanese reading of “search”. It’s just a way of turning things “cool”. – Differentiating a normal hamburger from a Mac hamburger. One is said ハンバーグ (hanba-gu), the other one is said ハンバーガー (hanba-ga-). – Differentiating a baseball strike from a job strike. One is said ストライキ (sutoraiki), the other one is said ストライク (sutoraiku). – コンセント (consento) actually refers to a plug in the wall. – マンション (manshon) would be guessed as being a huge palace-like house. But no. It’s an apartment. There is also the word アパート (apa-to) which I suppose it’s the big version of a “mansion”. – レンジ (renji) is actually a microwave. – パソコン (pasokon) is an abbreviation of パーソナルコンピューター (pa-sonaru konpyu-ta-, lit. personal computer). I guess we should start calling it “persocom” in English. 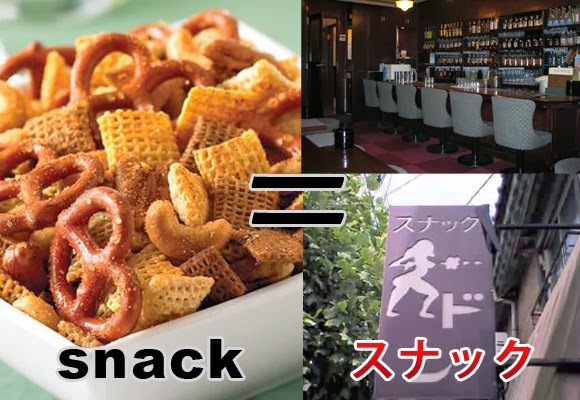 Here I was just trying to get your attention to an interesting misuse of an English word, and I ended up making a whole post about the weirdness of “Katakana Eigo” (Katakana English). So instead of calling this post “Tension”, as I was planning, it gets a more suitable title. For example. When you are in a party, and things start to get loud and everyone is in a good mood, you say that “the tension is high” (テンションが高い, tenshon ga takai). Of course the opposite is also applicable (テンションが低い, tenshon ga hikui).